From his improbably successful run for mayor in 2001 until now, Mike Bloomberg has leaned on three trusted aides: Kevin Sheekey, the ever-creative political strategist who gave the city the 2004 Republican National Convention and gave the world the abortive 2008 Bloomberg-for-president campaign; Ed Skyler, who rose from campaign press secretary to deputy mayor, overseeing a host of key agencies; and Patti Harris, Bloomberg’s loyal gatekeeper since 1994. Last month Sheekey quit, and last week Skyler left for a job at Citigroup. Only Harris remains, and she’s added big responsibilities outside of City Hall, running Bloomberg’s foundation. Bloomberg, of course, has never lacked for confidence. Yet in his political career he’s been smart enough to know what he didn’t know, and Skyler and Sheekey proved invaluable guides and enablers—and were among the very few people in his world willing to stand up to him. 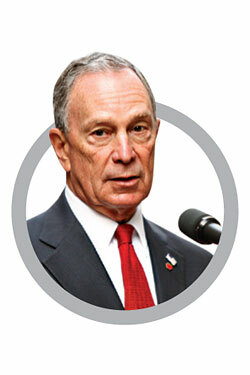 In October 2009, Bloomberg was diffident in his first debate against Bill Thompson. His campaign team grew anxious, knowing that the race was tight and believing Bloomberg needed to attack in the next debate. So they turned to Skyler, a man who wasn’t officially part of the reelection effort but whom the mayor trusted completely, to prep Bloomberg and persuade him to come out punching. The larger worry, for non-billionaire citizens, isn’t that Bloomberg will be unduly influenced—it’s that his mind will be impossible to change if the new staffers aren’t invested with real power. “If a great idea comes up, and the mayor is against it at the start, who is going to carry the water now that Sheekey, Skyler, and Dan Doctoroff are gone?” a City Hall insider asks. “The replacements are starting with limited ability or experience to get it done.” After eight years in office, Bloomberg, the once-proud amateur, has learned a great deal about the political game. But it’s a tough one to play all by yourself.